Baseball fans don’t ask for much other than sunshine, beer, a souvenir baseball and an occasional American League game played in less than four hours. What they really want is postseason drama, bitter rivals in a high-stakes environment, cheered by fans who despise each other, fueled by a century of epic moments from heroic players who have contributed profoundly to the almanac of the game’s history. Don’t be a wise guy. We’re not talking the Colorado Rockies and Milwaukee Brewers in the National League Division Series. On Wednesday night at Yankee Stadium, New York reliever Aroldis Chapman got Oakland third baseman Matt Chapman to ground out in the final act of their AL Wild Card game. And that set the stage for what’s coming next: The best-of-5 Division Series between the Yankees and the Boston Red Sox. Liftoff is Friday at 7:32 p.m., at Fenway Park. Put up the bunting. Here we go again. The Red Sox and Yankees engaged in what amounted to a rare pennant race in the AL East. The Red Sox won the division with 108 wins. The Yankees finished second with 100. 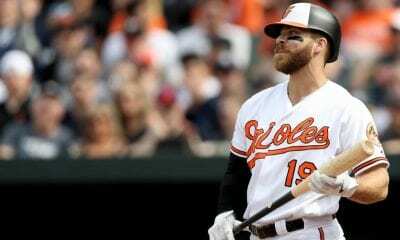 In the last 38 seasons, a team with at least 100 victories has failed to win their division only four times – the 1980 Baltimore Orioles (100), 1997 San Francisco Giants (103), the 2001 Oakland A’s (102) and now the Yankees. The Red Sox, with rookie manager Alex Cora, did it with two MVP candidates, Mookie Betts (.346, 32 homers, 80 RBIs) and J.D. 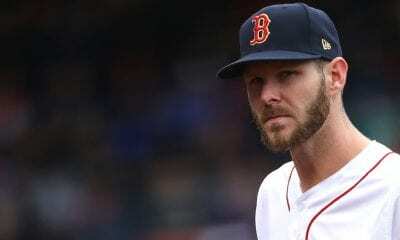 Martinez (.330, 43 homers, 130 RBIs) and a Cy Young candidate, Chris Sale (12-4, 2.11). Betts led the Majors in homers, Martinez led in RBIs. The Yankees, with rookie manager Aaron Boone, clubbed their way to the postseason with a MLB-record 267 homers. Six Yankees hit at least 24 with Giancarlo Stanton leading the way with 38. The Sox won the season series 10-9, outscoring the Yankees 116-102. But those numbers are skewed by New York winning four of the last six in September when the pennant race was essentially over. More important was Boston’s four-game sweep at Fenway in early August that extended their lead over the Yankees to 9½ games. At that point, New York’s concern turned to the surviving the Wild Card chase. 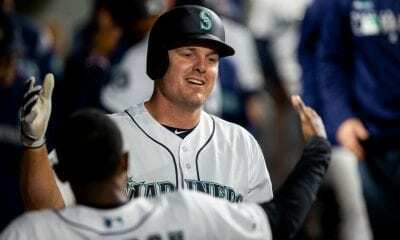 If the coming week evolves into something independents hope is a five-game series, it will be impossible not to look back at some of the great moments these teams have collaborated on – like the 1972 trade that sent Danny Cater to the Red Sox for Sparky Lyle. It’s amazing to realize that after MLB adopted its divisional format in 1969, it wasn’t until 30 years later that the Yankees and Red Sox met for the first time in the postseason. However, that doesn’t include the 1978 playoff game for the AL East title at Fenway, required after the Yankees wiped out a 14-game deficit, a comeback accented by a four-game sweep of the Sox at Fenway in September. The Sox were leading 2-0 in the seventh before Bucky Dent’s three-run homer off Mike Torrez gave them a lead that would grow to 5-2. The Sox scored a pair in the bottom of the eighth. But Rich Gossage got Yaz to pop out to Greg Nettles for the final out. Sox fans went home and cried. The Yankees went on to win the World Series. In 1999, the Yankees won the AL East, but could manage only one-run victories in each of the first two ALCS games at Yankee Stadium against a Sox team that entered the postseason as a wild card. The Yankees then closed out the series with consecutive wins, thanks in large part, Red Sox fans still argue, to some curious umpiring decisions in Game 4. They met again in the 2003 ALCS, which will always be remembered, we suppose, for the Game 3 brawl at Fenway that ultimately resulted in Pedro Martinez tossing Yankees coach Don Zimmer to the ground. It was some scene that day, beginning with Pedro hitting Karim Garcia in the back and then exchanging words with Yankees catcher Jorge Posada. The next inning, Manny Ramirez charged Clemens after a tight pitch, which instigated a brawl that resulted in the Pedro-Zimmer confab. The Sox came to Game 6 at Yankee Stadium needing to sweep and scored three in the seventh and two in the ninth for a 9-6 win. Then came Game 7. With the Sox winning 5-2 in the eighth inning, manager Grady Little chose to leave Pedro in the game after Pedro assured Little he was OK. Turns out he wasn’t. Derek Jeter doubled. Bernie Williams singled. Pedro stayed. Hideki Matsui doubled. Posada doubled. The game was tied and headed to extra innings. And then on Tim Wakefield’s first pitch in the bottom of the 11th, Boone homered to left to end the series. 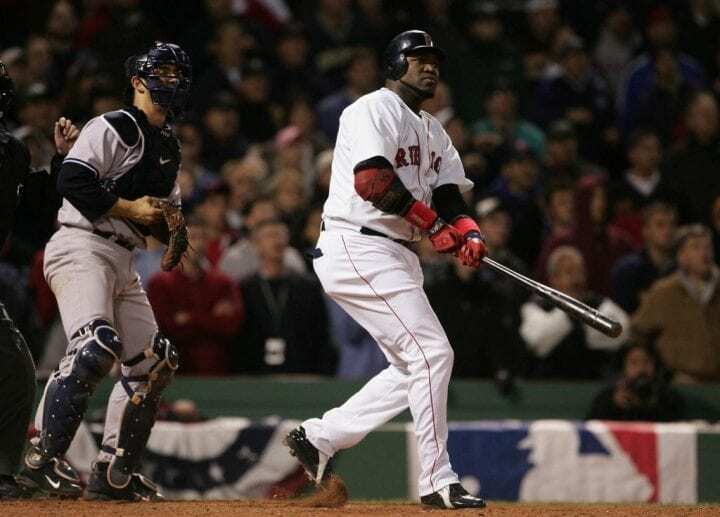 The teams met again in the 2004 ALCS and the Yankees won the first three games, Game 3 in Fenway 19-8 that seemed to demoralize the entire city of Boston. Then in Game 4, Dave Roberts, now manager of the Los Angeles Dodgers, stole second in the bottom of the ninth with the Yankees leading by one. Bill Mueller drove Roberts home to send the game to extras and Big Papi won it in the 12th with a two-run homer off Paul Quantrill. The Sox scored two in the bottom of the eighth – one on another Big Papi blast – in Game 5 to again force overtime. Then Papi drove home Johnny Damon in the 14th with a single sending the series back to Yankee Stadium. The game lasted 5 hours and 49 minutes, at that point the longest postseason game in MLB history. Curt Schilling pitched Boston to a Game 6 win – the Bloody Sock game – and then the Sox rode a Damon grand slam an early 6-0 lead to win Game 7 to become the first team in MLB history to overcome a 3-0 deficit. They did it after watching “Miracle” about the 1980 gold medal U.S. hockey team for inspiration and watching Dent throw out the first pitch. And we all know what came next – Boston’s first World Series title since 1918. And that was it. No more postseason matchups … until now. Can baseball fans ask for more than that this week? Go ahead. You never know what’s next when the Yankees and Red Sox get it going.